The ECB's asset purchase program is constrained by the self-imposed guidelines. As it QE continues, the ECB seems to be bumping against some of these parameters. The situation is thought to be coming to a head shortly, perhaps as early as this week's ECB meeting. One of the constraints is the country exposure capped at a third of the sovereign debt. This limit may be reached for German in the first part of next year. Smaller countries may be nearer their limit. The ECB has already demonstrated its flexible approach. It has added instruments, such as corporate bonds. It has increased the range of agency bonds it can buy. The ECB also allows negative yielding instruments to be bought provided the yield is not lower than the minus 40 bp deposit rate. The broad principle determining the Eurosystem's allocation of purchases is the capital key. It is based on the contribution to the ECB's capital in the first place. EU members, but not EMU members, such as the UK, Sweden and several central and eastern European countries, also contributed to the capitalization of the ECB. However, their shares are excluded in determining the allocation of purchases under EMU QE. 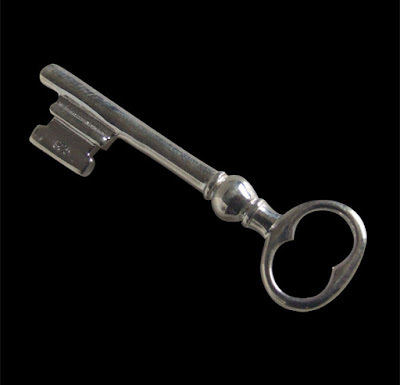 The capital key is more or less a function of the size of the country. Germany is the largest. It has an 18% overall weight in the capital key, but for ECB QE purposes its shares rise to 25%. Yesterday the ECB updated its QE purchases report. There continues to be a modest deviation from the capital key. In August, German purchases were about 3% below what the capital key would have suggested, and the Dutch purchases were about 4% below the capital key target. However, this is not so problematic. August is a light month of purchases due to lighter volumes in any event. Rather than buy 60 bln euros of assets in August as it targets on average, it only bought 43 bln. Still, the deviation from the capital key did not begin last month. German assets have been under-bought according to the capital key since March. Portuguese and Irish assets were also under-bought relative to the capital key. If some bonds were under-bought, where there some bonds that were over-bought? It appears that French and Italian bonds are being bought in excess of the capital key. Short time periods may be misleading, but the holdings of French and Italian bonds are around 4%-5% above the capital key proportions (equivalent to 13-14 bln euros each). We do not think these deviations from the capital key are the prelude to jettisoning this basic principle. We think it reflects a certain flexibility of the Eurosystem. One element that is not often discussed when considering the ECB's purchases is where the risk resides. Mostly the risk of the asset purchases sits with the national central banks. This may not be fully appreciated by investors. The ECB holds a residual risk of about 8%. To the extent that the sovereign bond purchases are deviating from the capital key, it suggests that the ECB's risk, which is the shared risk (distributed by the terms of the capital key). We wonder if some market participants are not exaggerating the significance of the deviations from the capital key. The ECB has demonstrated a high degree of flexibility with the implementation of its asset purchases. We do not think the deviations are thought to have been significant or a barrier to plans to extend the asset purchases beyond the end of this year. We are convinced the ECB will extend its purchases. One principle that seems inviolable is that there cannot be a hard stop. The purchases must be tapered. We are most confident that the purchases will be extended into next year. The key issues are when does the ECB make the announcement and how much to taper. We had been looking for an announcement this week of the amount and duration of the extension. However, the flurry of comments suggests that the ECB may look to push the announcement out until the next meeting. How much will the ECB slow its purchases? A Reuters poll found most expect a cut to 40 bln euro from 60 bln euros. Since March the ECB slowed its purchases to 60 bln euros from 80 bln euros. However, and this is important, a cut to 40 bln euros for H1 18 would be a clear tell that its purchases will continue into H2. This would be part of a dovish tapering. We make the case that a cut to 30 bln euros would give officials the flexibility to stop in the middle of next year if it chose. A reduction to 30 bln euros a month would also take more pressure off the shortage of securities and the capital key. News accounts, some from unnamed officials have effectively lowered expectations for this week's ECB meeting. The staff forecasts, especially if inflation forecast, is shaved, will allow the Draghi to direct the relevant Eurosystem committees to explore the range of options. This exercise would buy officials some time. The risk, however, is that it paints itself into a corner and after this week there are only two meets left in the year after this week's meeting. The mid-December meeting has the benefit for new staff forecasts, but it may be too close to the end of the year and the end of the current program to be of particular appeal to policymakers. That leaves the October 26 meeting as the only viable one after this week's meeting. It is easy to imagine a scenario in which the US fails to make progress on tax reform, softer US inflation dampens the chances of a December Fed hike and by the time the ECB meets in late-October the euro is back above $1.20. The weakness of the US dollar is not the only factor driving up the euro. The euro has risen against nearly all of its trading partners this year, except for the Sweden. Since the start of the year the euro has appreciated 13% against the US dollar, but 7% on a trade-weighted basis. The euro's appreciation and the rise in interest rates more than offset the rise in European equities. The Dow Jones Stoxx 600 is up 3.6% this year, though it is off about 5.6% since peaking in mid-May. As we noted in an earlier post, the correlation (60-day on the purely directional move) has been inverted since early July. At -0.86, the inverse correlation is at its most extreme reading for the past year.